Tollywood Superstar Mahesh Babu has unveiled his Madame Tussauds wax statue at AMB Cinemas, Hyderabad. Mahesh's wife Namrata Shirodkar and children Gautam and Sitara also attended the event. The wax statue has been flown to India from Singapore for the launch as Mahesh has been busy with prior commitments. At the launch talking about the statue, Mahesh Babu said that the statue is so real itâ€™s kind of freaking him out. But it canâ€™t get any better than this. The Madame Tussauds team took 'Itâ€™s an honor to have my wax statue placed alongside legends of Indian cinema in Singapore.' 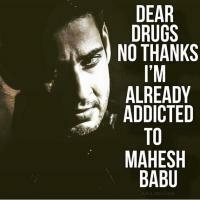 Said Mahesh. Mahesh's wife Namrata reacted in a funny way, "I have two husbands now." Said Namrata and laughed. 'Six years ago when I visited Madame Tussauds in London with my family, I saw my children excited and felt that one day I would have my own statue too.' Added Mahesh.